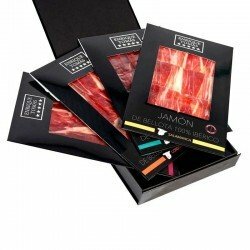 Organize your own tasting of Iberian Ham! 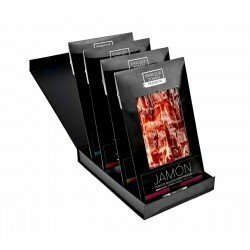 In this elegant pack you will find 320 grams of ham from a 100% Iberian pig fed on acorns during the Montanera-season and cured in each of the four areas widely known for the tradition and quality of their hams: Salamanca, Cáceres-Badajoz, Córdoba and Huelva. 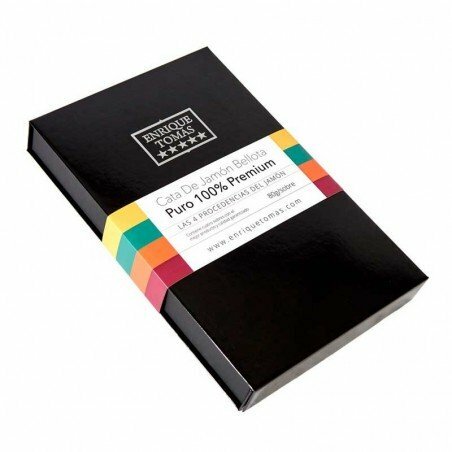 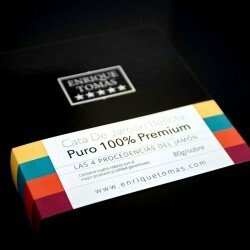 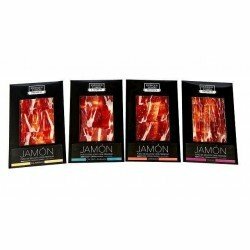 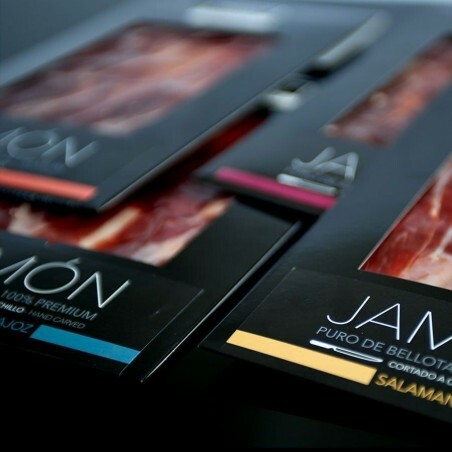 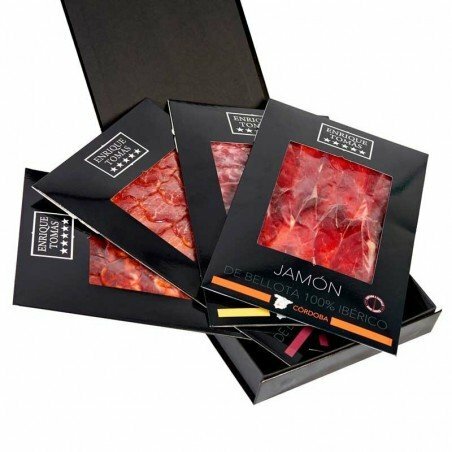 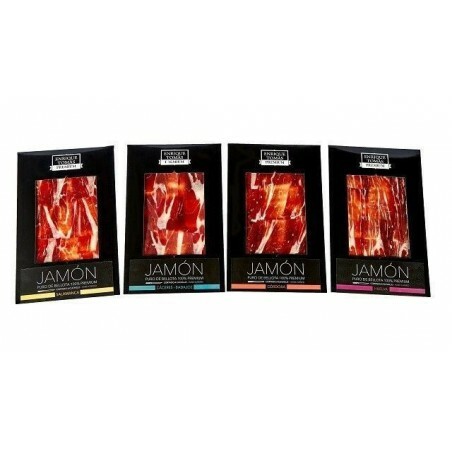 With this Pata Negra Tasting pack you will surprise your guests and make a woderful gift. You like a more gentle and non-invasive ham, then you will love the Guijuelo Ham. 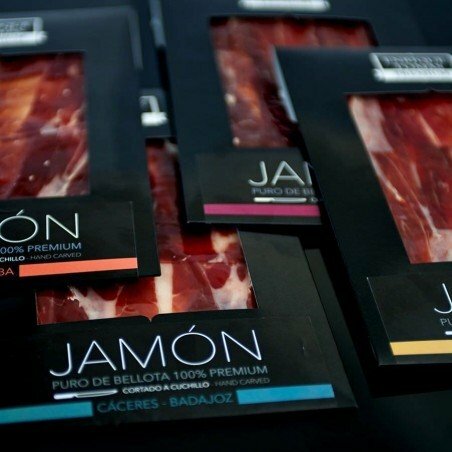 In Extremadura flavours, quality prevails with intense flavours that leave no trace in the mouth once tasted. 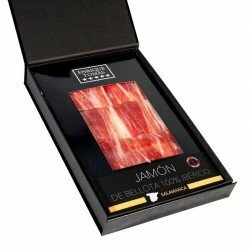 If we talk about Cordoba, we are referring to the Valley of the Pedroches, a place that produces a different, sparkling and very pleasant ham. 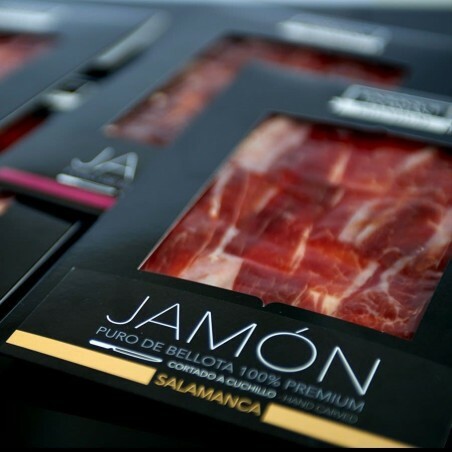 And finally Huelva, the famous Jamón de Jabugo (Jabugo Ham) which is undoubtedly the easiest to recognise, round, intense and with a smoky flavour. Discover the difference in the taste of each of the origins and choose your favourite.